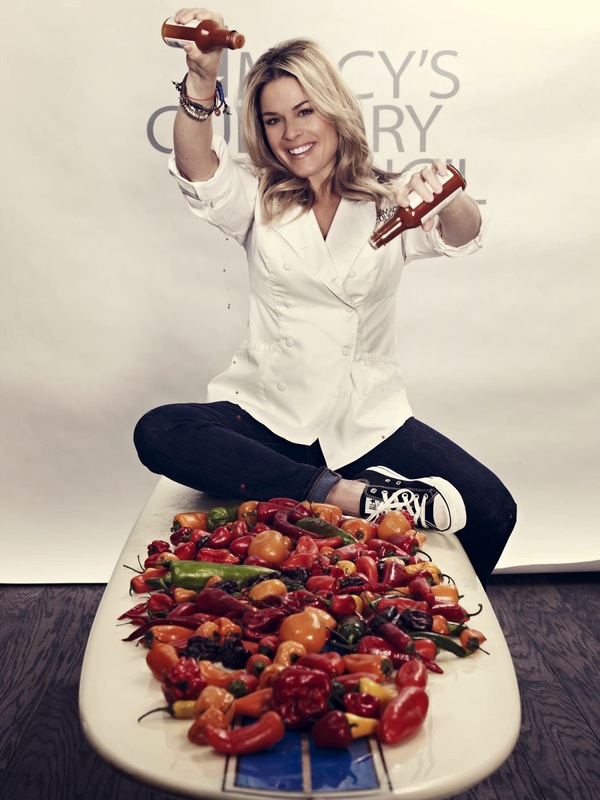 Celebrity Chef Cat Cora will visit Macy’s on State on April 1st to present a special flower show cooking demonstration, Art in Bloom! (#MacysFlowerShow) The event, at 12 p.m., on the 7th Floor Culinary Studio is FREE and open to the public, but reservations are required as space is limited. Cora made television history in 2005 when she became the first female “Iron Chef” on Food Network’s “Iron Chef America.” Since then, she’s become a prominent figure in the culinary community and beyond as an accomplished author, restaurateur, contributing editor, television host, avid philanthropist, lifestyle entrepreneur,and proud mother of four. Also, after the demonstration, head to the lower level and explore the latest in cookware and kitchen gadgets. With any purchase of $35 or more in the Home department,* receive a $10 Macy's gift card and a copy of Cat Cora's Classics with a Twist,** which she will sign for you! The event is free and open to the public. Reservations are required as space is limited. Please not the event subject to cancellation or change. *Purchase must be made on April 1, 2015 at Macy's on State Street only. Gift cards and cookbooks will be distributed April 1st. **One per customer, while supplies last, while time permits. Seating is 1st come, 1st served. Macy's gift card valid April 1 - April 8, 2015. Cora grew up in an intimate Greek community in Jackson, Mississippi, where she developed a passion for the culinary arts while watching her family and relatives infuse Southern spices with Mediterranean delicacies. As a young adult, she acted on advice from her mentor, Julia Child, and left Mississippi for New York to study at the Culinary Institute of America. She continued her culinary education in Europe, completing apprenticeships for two of France’s renowned three-star Michelin chefs, and eventually returned to New York before traveling west to Napa Valley, California. A successful restaurateur, Cora launched Cat Cora’s Quesituated in South Coast Plaza in Costa Mesa, California and Cat Cora’s Kitchen located in San Francisco International Airport, George Bush International Airport, and Salt Lake City International Airport. In collaboration with Disney, she created Kouzzina by Cat Cora, a Mediterranean restaurantlocated at Disneyworld Boardwalk in Orlando, Florida. In February 2013 she and RWS Resorts launched Ocean by Cat Cora on Sentosa Island in Singapore. As a lifestyle entrepreneur, she has introduced two thriving food lines, Cat Cora Kitchens by Gaea and Grecian Delight, as well as the Cat Cora by Starfrit merchandise line. In partnership with MOZO Shoes, Cora revealed her first signature shoe line this past January. Cora’s on-screen appearances include Food Network’sMelting Pot; Kitchen Accomplished, My Country, My Kitchen: Greece; Date Plates; NBC’s Celebrity Cooking Showdown; Bravo’s Around the World in 80 Plates; and multiple Disney webisodes. She also has published three successful cookbooks and one children’s book. In 2004, Cora founded Chefs for Humanity, a non-profit dedicated to reducing hunger worldwide by supporting humanitarian relief and promoting nutrition education. In July 2012, she became the first female chef to be inducted into the American Academy of Chefs Culinary Hall of Fame. "I am a member of Everywhere Society and Everywhere has compensated me for this post; however, all thoughts and opinions are my own." Or it can be as simple as "This is a sponsored post, but all thoughts and opinions are my own.